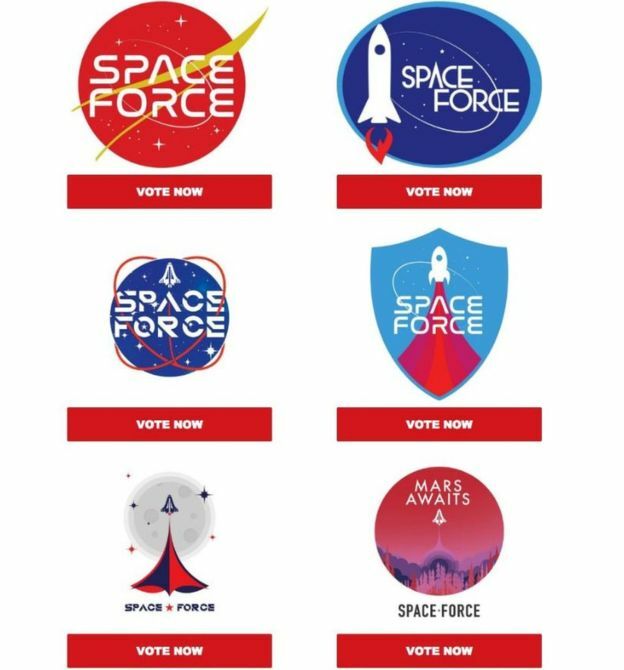 Trump's crazy Space Force, the planned 6th branch of the US military, is soliciting votes for its new logo from supporters. The kitsch 70's design proposals, including a NASA rip-off, are shown here. The real reasoning behind the Space Force seems to be to sell the logo on T shirts and hats to raise money for the election campaigning. 3 August: up to 4229 lies...!